Poland’s medium-range air defense (MRAD) “Wisła” system must be able to shoot down any target, but not at any cost. That was noted by the Polish Ministry of National Defense in a letter of request submitted for the Patriot system to the U.S. government, expressing the need for an economic missile mix. The letter is the latest chapter in the MRAD “Wisła” procurement saga, which has been dragging since 2011. While months of painful negotiations are ahead, and a counter offer for the Medium Extended Air Defense System is still on the table, important strides were made since the previous letter of request in July of 2016. Perhaps most notable is Poland’s aspiration to become the first Patriot user without Guided Enhanced Missiles, dubbed GEM-T, in stock. The hefty weapon, armed with a 90 kg explosive warhead, entered service with the U.S. Army only in 2006. However, due to an antiquated track-via-missile (TVM) guidance system it’s no longer considered cutting edge or effective against stressing ballistic targets. Moreover, the missile’s diameter restricts the number of rounds on a Patriot launcher to 4, as opposed to 16 of the slimmer PAC-3 and 12 of the most capable PAC-3 MSE variant. The decision to ditch GEM-T might affect the configuration of the radar (redundant TVM communication module), simplify launcher logistics and peg Poland to more promising missile technologies. However GEM-T has at least one major advantage over MSE – its costs might be as low as one-tenth of its competitor ($450,000 vs. $4M-$5M). “Wisła” is by far the most expensive system on the Polish Armed Forces’ modernization wish list. If the deal goes through, Poland would become one of the largest Patriot users in the world, fielding 16 fire units (FUs) grouped in 4 battalions and 8 batteries. Compare that to the U.S. Army’s 60 FUs, keeping in mind the relative size of both economies, and the scale of investment becomes evident. To keep the number of necessary missiles feasible and affordable, Poland plans to equip one FU with only 3 launchers each (48 total). Each launcher will have 12 MSE-sized interceptors, which, with 50 percent backup and reload, add up to over 1000 missiles in Poland’s stock. Therefore, the cost of filling “Wisła” launchers with PAC-3 MSEs could exceed $5 billion, a prohibitive price tag for the Poles. 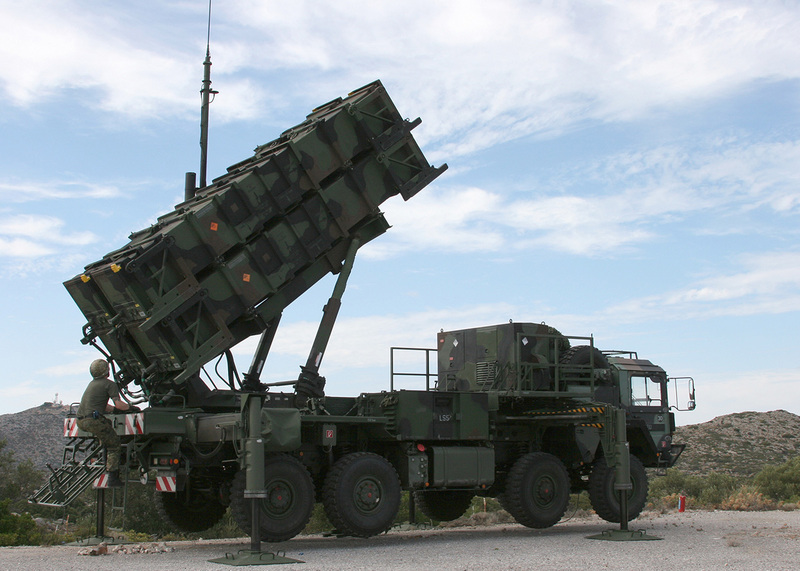 Qatar’s similar request for 11 Patriot FUs and 44 launchers in 2012 listed 246 GEM-Ts and 768 standard PAC-3s. Eventually nine fire units and an unspecified number of missiles were purchased for $2.4 billion. Nonetheless, missiles are expected to eat up around 50 percent of “Wisła” procurement cost, which is capped by the defense ministry at $7.59 billion. That’s why when asked to base its architecture either on MSE or on GEM-T, Poland chose neither. Opportunity was seized by Patriot’s manufacturer, Raytheon, who proposed a low-cost (~$1 million apiece) interceptor alternative called Skyceptor. Skyceptor is a variant of the Stunner, a missile co-developed by Raytheon and Israel’s Rafael for the David’s Sling Weapon System. Stunner uses hit-to-kill technology to counter incoming tactical ballistic missiles with a 40 to 300 km range and is effective against a wide spectrum of air-breathing threats. Israeli Defense Forces claim that one David’s Sling battery armed with Stunner can defend Israel’s 424 km long territory from a single location. The factors above, along with promises of placing much of Skyceptor’s production in Poland, convinced Polish officials. In the latest letter of request, Poland signaled basing a “Wisła” missile mix on Skyceptor/Stunner, while keeping a low-quantity stock of PAC-3 MSE for most stressing targets. While the defense ministry plans to sign the contract by the end of 2017, a number of obstacles could stand in the way. Poland insists on incorporating Northrop Grumman’s IBCS command and control system starting with the first battery, which would put Polish troops ahead of U.S. Army schedule. Also, an extensive offset agreement is yet to be reached. As for the missile, Raytheon claims the Skyceptor would have the same combat parameters as the Stunner, but needs modifications to meet NATO’s insensitive-munitions requirements. Therefore the first four, interim-capability Patriot fire units would be armed with PAC-3 MSEs only. Stunner is planned for integration with a 360-degree AESA GaN fire-control radar, forming the final Patriot Poland configuration. Raytheon pledges to deliver first fire units with version 8 of the Patriot software build in 24 months, and first Patriot Poland fire units, including Stunner, in 48 months from the day the contract is signed. MEADS has not thrown in the towel yet. The consortium proposed leveraging Lockheed Martin’s missile expertise to create an all-new MEADS Complement Missile (MCM) and placing 70 percent of the production in Poland. Even if the specifics of that missile are yet to be designed or revealed, the Polish government will likely keep MEADS handy in case a Raytheon deal falls through. Artykuł na stronie Defense News dostępny tutaj.